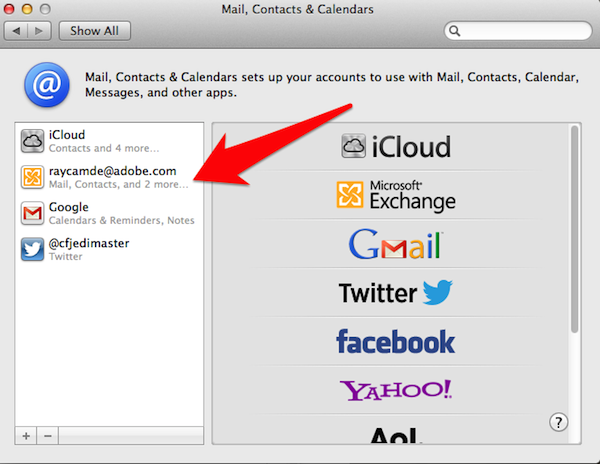 Ever since day one at Adobe I’ve had an odd issue with Outlook on my Mac. About 3-4 times a day it would ‘forget’ my password. As soon as I entered my password it worked, but it bugged me that I had to keep re-entering it. I Googled but never found the right answer. I deleted and recreated my profile numerous times, but it never helped. Finally, Terry White (fellow Adobe evangelist!) made a simple suggest. 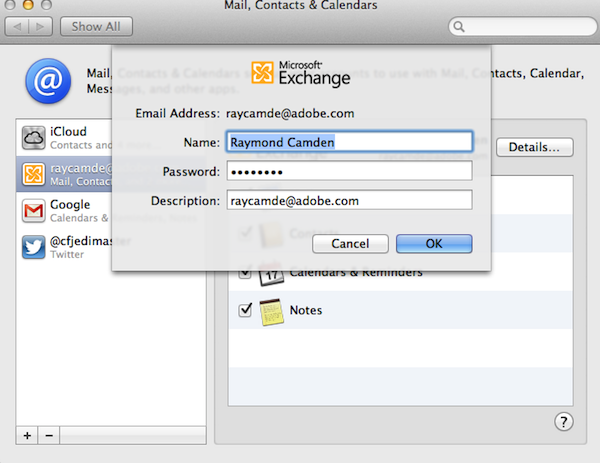 Instead of entering my password in Outlook, I should be doing it in the Exchange settings via System Preferences.